If not for the infamous 1919 Black Sox scandal, Shoeless Joe Jackson would likely have taken his place among Ruth, Cobb, Hornsby and Wagner as one of the greatest, if not the greatest, offensive weapon in baseball history. 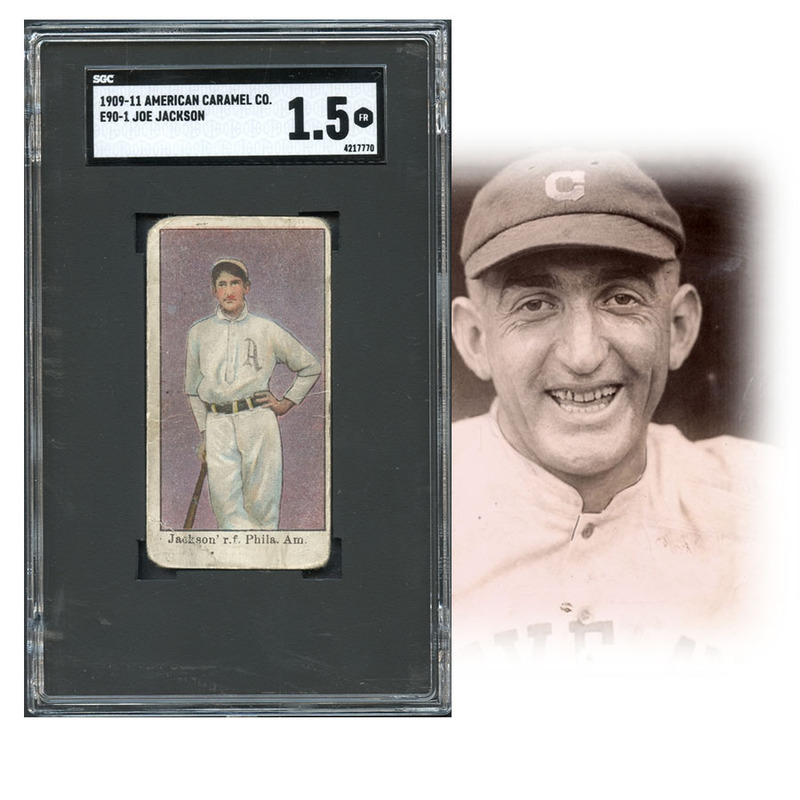 Jackson's .356 lifetime batting average ranks third all-time while topping the .370 mark on four different occasions, compiling 1,772 hits when he was banned from baseball at age 32. 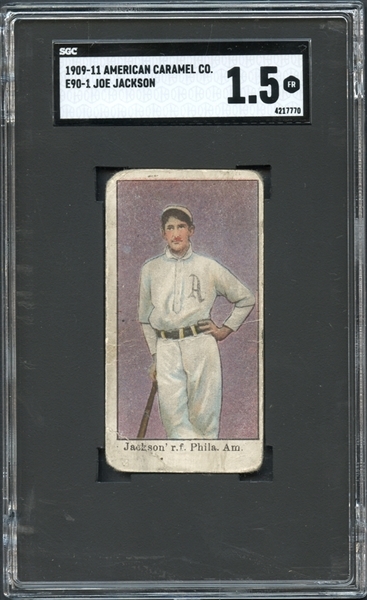 Jackson's involvement in the scandal is still debated to this day, and although he entered in the major leagues in 1908, he never appeared in the popular T206 series or even the 1911 T205 set despite batting .408 that year. 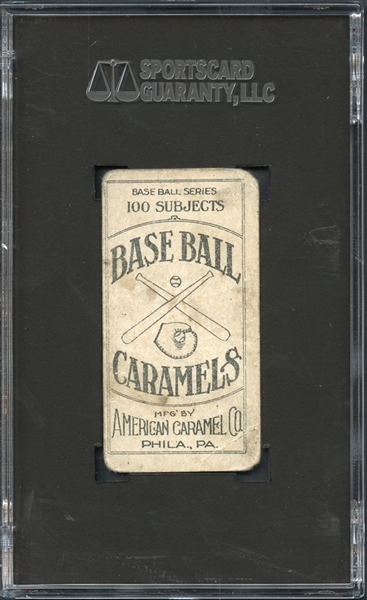 The offered card from the E90-1 American Caramel series is his true rookie appearance and one of the very few issues from the era that feature his likeness. The misaligned red color to the ballplayer's lips and undefined artistry around the nose is a hallmark of this iconic card and this beauty does not disappoint. While the centering clearly favors the northeast and corner wear is significant with horizontal creasing through the center and the lower left, one cannot possibly challenge the overall magnetism of this rare treasure, a very handsome specimen for the grade of SGC 1.5 FAIR. A stunning and era-defining collectible, produced a decade prior to the turmoil that would result in his illustrious career ending prematurely.